I would like to welcome all new students to American International Medical University. Facilities of our University provide the optimal learning environment. Also, I would like to extend my sincere greetings to all prospective students considering applying to our Medical University. 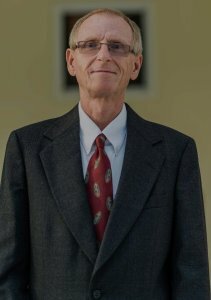 As Executive Dean and medical professional in areas of clinical medicine, medical research, and medical education, I can personally attest the quality of our academic programs, ultimately measured by success of our graduates in terms of passing licensing examinations, acceptance to postgraduate training programs, and becoming licensed medical professionals. Facilities of our University provide the optimal learning environment. In addition, our highly qualified and fully dedicated teaching and non-teaching staff members continuously strive to assure that all our students reach their ultimate goals of becoming fully qualified medical professionals, healthcare educators, positively contributing to lives and well-being of their patients, families, and entire communities in different countries. I am genuinely excited that you decided joining American International Medical University, and I eagerly expect meeting each of you individually.